Is Indian stock market Risky to Invest? 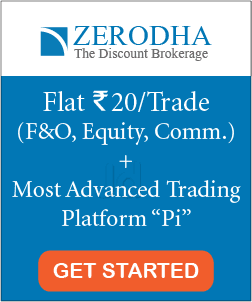 Is Indian stock market risky to invest? Stock market is one of the best place to make money form your investments. There are number of examples of people with average job who ended up being millionaires by investing in stocks. 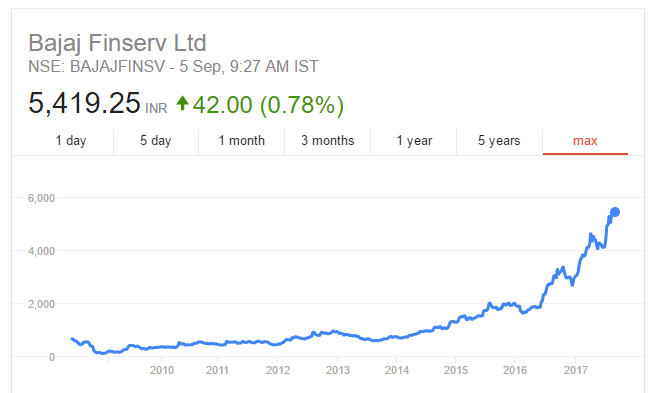 For example, if you had bought 100 stocks of Bajaj Finserv in Nov 2008 at a price of Rs 100, you initial investment of Rs 10,000 would have turned out to be over 5.4 lakhs in just 9 years. In addition, dividends would also have been credited to your account every year. But this would only had happened if you had hold the stock for a period of 9 years (not selling in between just to book profits). You can make great fortunes form the market if you have three basic qualities- Discipline, patience and persistence. Why people think stock market is Risky? Every investment has some risk involved in it. Depending on the type of risk taken by the investor, the reward is achieved. There is a famous proverb prevailing since a long time in the investment world- ‘NO RISK, NO REWARD’. Those who are able to get high rewards from the market are the ones who have adopted balanced approach to minimise risk and maximise the reward. However, there are a number of people who do not invest in stocks just because they think that the Indian stock market is too risky. The legendary Investor Warren Buffett has said a famous quote about risks- ‘RISK COMES FROM NOT KNOWING WHAT YOU ARE DOING’. People think stock market is risky because most of them do not understand the movements in the market. The day to day fluctuations in the market makes them uncomfortable. 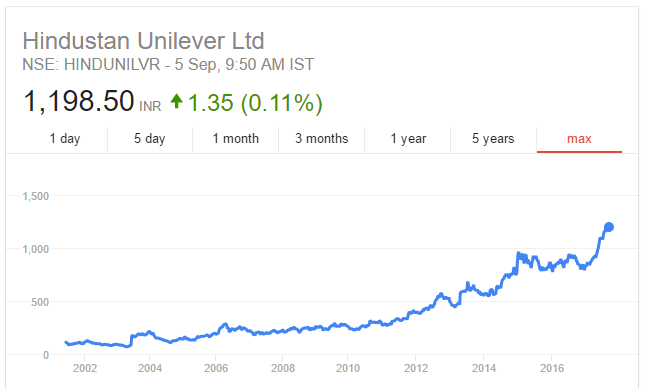 Many people cannot relate the upward or downward movements of the share price with the company’s performance. Hence, they think it as an another form of gambling, where no one can surely predict the future outcomes, but just speculate the market. 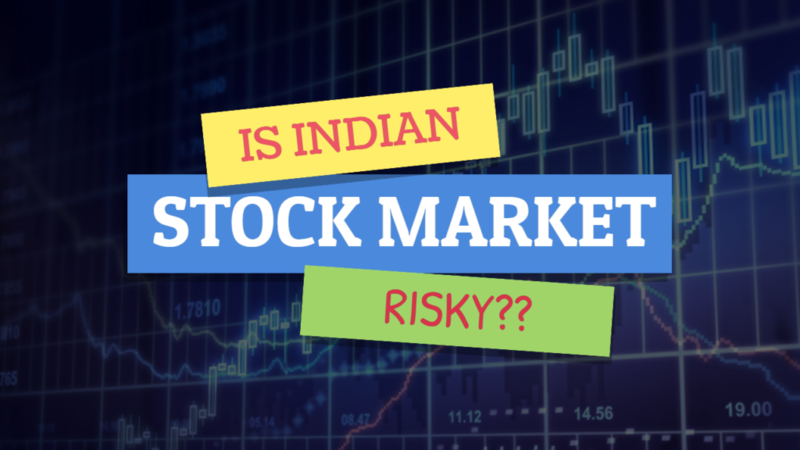 Moreover, due to the couple of past market crashes in the Indian stock market, most Indians are afraid that the stock market is too risky to invest. They do not want to see their investment falling to grounds. Nevertheless, stock market as a whole has historically been the best investment for long term. If you need to make money in next two years, invest in something less volatile. But if you want to make fortune in 20 years, invest in stock market. Although, I agree that there are few risks involved in the market, but these are the risks that are worth taking. There is always a risk involved in stock market if you invest in stocks with indiscipline and without doing proper research. However, the risks involved in the market can be minimised (if not totally diminished) by following proper discipline and principles while investing. Further, if you are happy with a 4% simple interest retun on your savings, then you should not invest in the market. Your money is a lot safer in your savings account. It won’t go anywhere and there is no chance to lose that money from savings, unlike stock market . It will idly sit in your bank account and will give you linear returns. However, if you are not happy with the 4% interest and think that this return will not help you to fight inflation (5-6% per year), then you have to invest your money. Although, there are risks involved, but it’s better to increase your wealth by investing than to degrade its face value by inflation. Certainly, there are risks involved in stock market investment, but a 15% compounded annual return can help you a lot in fighting inflation than a linear return of 4% on savings. Also read: How Much Return Can You Expect From Stock Market? 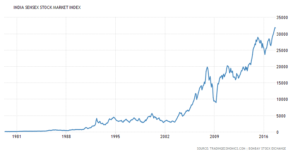 Whenever people talk about the risks in the market, the famous example they give is the 2008 market crash. It was the time of economic recession in India. Market fell over 60% from January 2008 to March 2009. In short, if you had invested Rs 1 lakh at the top of the market (before crisis) and then you had taken out your investment at the end of the crisis, then the net worth left with you would have been equal to Rs 40,000 only. Your invested amount would have diminished by 60%. 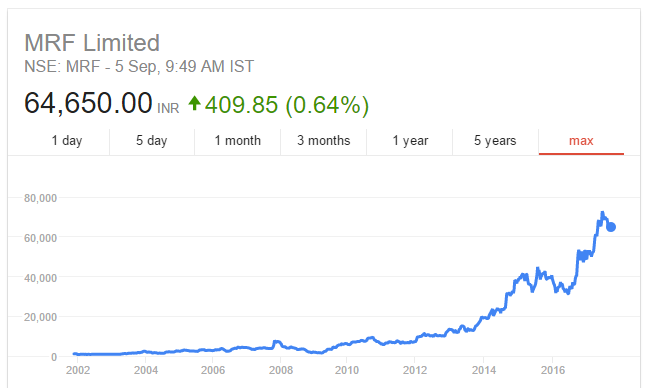 Here is a graph of Sensex. From the past data of over 45 years, 2008 stock market crash was the worst. Please notice the sharp fall in the graph in year 2008-09. This was one of the biggest market crash in Indian stock market history. 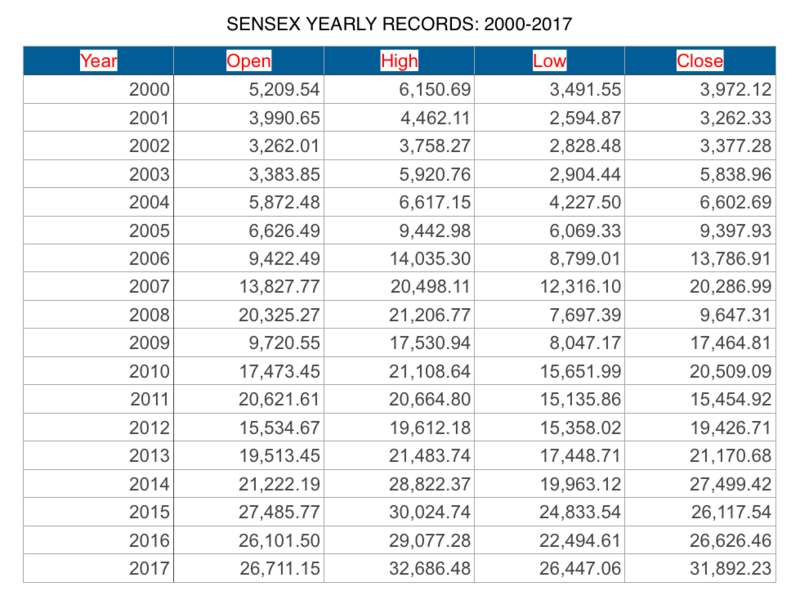 In addition, here is the records of Sensex from year 2008 to present year-2017. 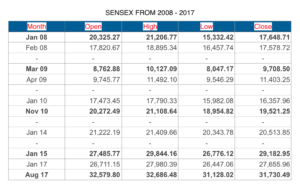 Please note the Opening, High, Low and closing points of Sensex at different months. 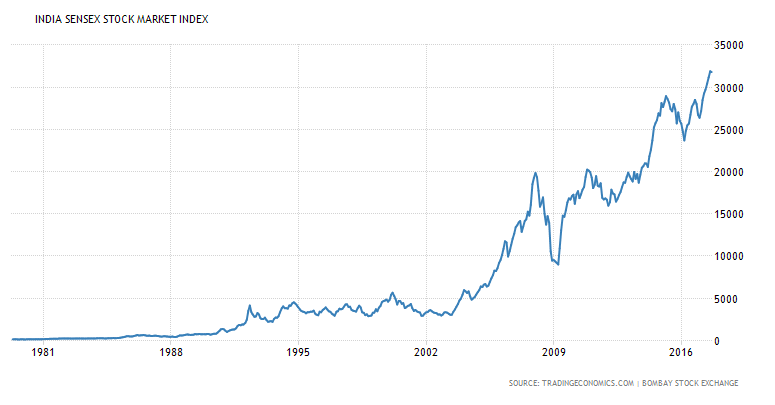 Now, let us discuss the Sensex points at different time during (and after) the 2008-09 market crash. During this period of 14 month, Sensex fell over 13,000 (-60%) points. However, if you had just remained invested for 2 and half years from the crash date, you would have recovered completely from the losses. Further, if you had remained invest for 6 more years since the crash of 2008-09, you would have made good profits from the market despite the big crisis period of over 14 months. Overall, from the historical data, we can say that even the worst market crisis in Indian stock market could have been recovered if you had stayed invested for long term. No single market, bull or bear, can last forever. Bear market will always be followed by bull market and vice versa. The worst thing an investor do in such situations is to panic and leave the market; booking heavy losses. If you had left the market during the 2008-09 market crash by panic, then you would had to book a loss of 60% on your investment. This could have destroyed your net worth. However, if you just had patience and had hold the stocks for long term, you could have made wonders. If you want to learn stocks from scratch, I will personally recommend you to read this book: ONE UP ON THE WALL STREET by Peter Lynch- best selling book for stock market beginners. It’s true that many of the small caps companies were forced to shut down during the crash due of bankruptcy. 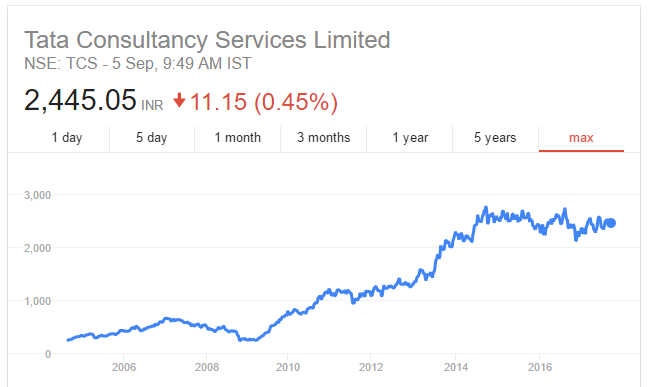 However, all the fundamentally strong companies remained intact and recovered quickly after the crash. There are hundreds of examples of the stocks whose price fell heavily during the stock market crash. 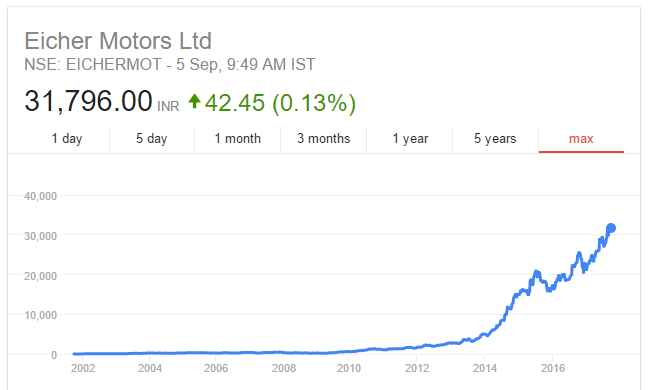 However, 9 years later, their price is sky rocketing today compared to the stock price at that time. 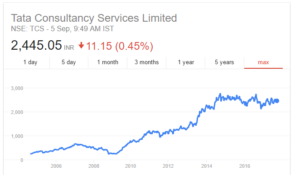 Here are the stock prices of 4 common Indian companies that everyone might be aware of. Had you invested in these companies, you would have created huge wealth. 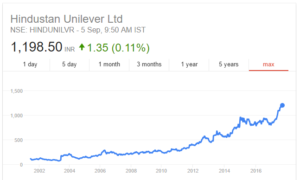 Inspite of the big market crash of 2008-09, its effect are not visible on the stock prices of these companies. The list of such out-performing common stocks goes on and on. The long term investors have always created wealth for the market, despite the market crashes and corrections. 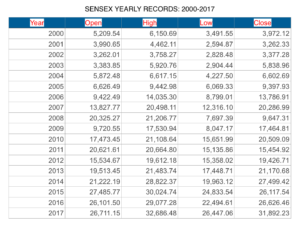 Sensex yearly records from 2000 to 2017. From the above table, you can notice that for the long term investors, the rewards have always been greater than the risks. 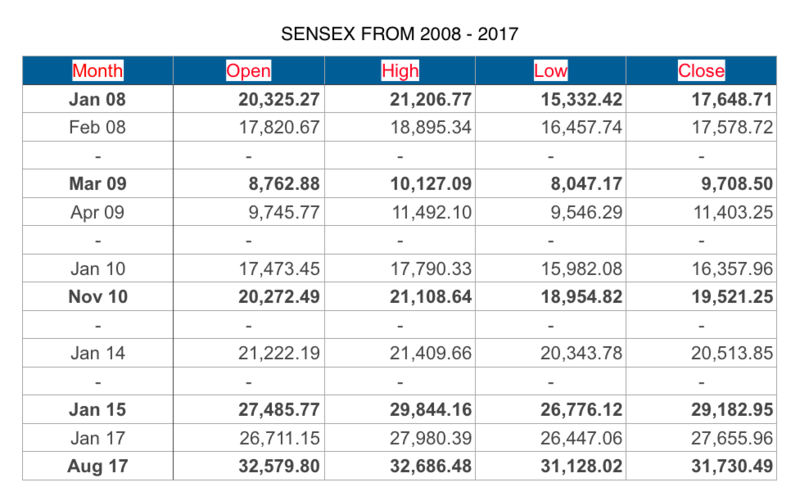 Sensex has given a return of over 9 times (closing of 3,972 in 2000 to 31,892 in 2017) in a period of 17 years, which time period includes one of the biggest market crash in Indian history. Moreover, this is the return form just the index of the market, which covers the average of the market. 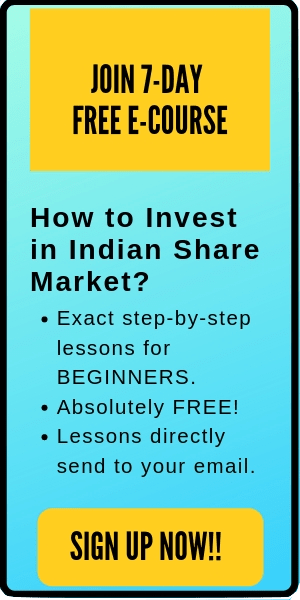 If you had invested in few good companies from a pile of over 6,000 companies listed in the Indian stock exchanges, you could have easily beat the market. Your returns would have been much better than the 9 times return of the index in the period of 17 years. Overall, stock market is risky for the impatient investors. However for the long term investors, stock market has never been risky. Stock market has always rewarded the long term investors. What are the real risks involved in the market? Stock market becomes risky when people starts to speculate. Many a time, people buy stocks just because they get intuitions that the price of that stock is going to rise. Buying stocks on speculations is always a wealth destroyer. Although many people had earned a lot of money by trading in Futures and option. However, the number of people losing money in F&O is relatively high. Never enter futures and options trading without proper knowledge. Stock market becomes risky when you do not have any proper strategy while entering the market. A good strategy covers the time to entry, time to exit, total investment amount, portfolio allocation etc. Buying stocks on ‘TIPS’ or recommendations always invites risks for the investor in the market. Moreover, following your broker or friend’s recommendation blindly has always led the investors to regret in future. A little risk is always involved in stock market. However, by following few risk management systems, you can minimise the risks and maximise the rewards. For example, using ‘STOP-LOSS’ while trading is a good risk management strategy. Trading with emotions is always risky in stock market. Never attach emotions in the market. Do not get dishearten or proud if your stocks are doing bad or amazing in the market. Trade with discipline, patience and persistence. If you do not have patience in the market, you cannot create wealth. Warren Buffett used to say that – ‘Stock market is a place to transfer money from impatient to patient people’. Stock market is risky for impatient people. Most of the time, its the impatient people who turn out to be the losing one, transferring their wealth to the patient people in the market. If you have invested all your wealth in a single stock, then there is a big risk involved in your investment. Market works on emotions. Sometimes, even the best company can become the victim of unfavourable conditions like new government norms, irregular losses/damages etc. Like the old ones used to say- ‘Never put all your eggs in one basket’. Non diversification is risky in stock market. If you are investing in a company that you do not understand, you are taking one of the biggest risk in the stock market. How can you decide weather the company is doing good or bad; Weather you should hold or sell the stock; if you do not understand the company? No proper understandings of the company can freeze your decisions and will lead your investments to a big danger. That’s all. 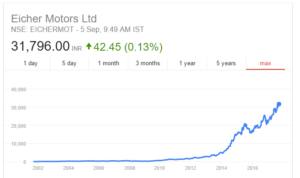 I hope this post- ‘Is Indian stock market risky to invest?’ is useful to the readers. Moreover, I hope that it can inspire the people to start investing in the market by managing the risks and focusing on the rewards. Please comment below what do you think about this topic. 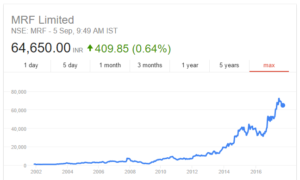 Is Indian stock market risky to invest? 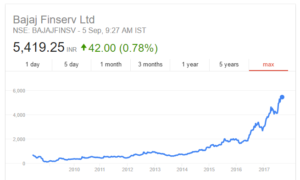 Tags: Is indian stock market risky, is stock market risky currently, should I invest in indian stock market, risks in stock market, stock market risks, is Indian stock market risky to invest, should i invest in the stock market today, invest now or wait for correction, is now a good time to invest in the stock market 2017, is Indian stock market risky for short term.